The Angel Investment Forum of Florida (AIFFL) has been established to facilitate the interaction between local entrepreneurs (opportunities) and Angel Investors (resources) and help promote business growth in Florida. AIFFL is a single organization with two chapters in Orlando and Jupiter Florida. Winter Park Angels is a group of accredited investors who provide equity capital to early-stage entrepreneurial companies located in Florida. Our members are entrepreneurs and successful business leaders who have founded and built some of the nation’s best companies. The Association acts as a catalyst to bring together investors, entrepreneurs, institutional and private investors, financial institutions, business professionals and leaders in the business community. 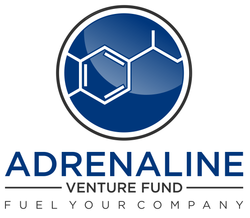 Although the Association does no direct funding or matching of investors with those seeking funding, it provides a forum where investors, entrepreneurs and professionals can meet and network. New World Angels (NWA) is a group of private investors dedicated to providing equity capital to early-stage entrepreneurial companies in the state of Florida. Members of NWA have extensive experience in founding, building, and managing companies in a wide variety of industries. Springboard Capital, LLC is a member-managed private equity fund focused upon seed and early stage investment located in Jacksonville, Florida. Sprigboard’s memvers, all individual accredited investors, guide the fund’s activities and play an active role in all aspects of investment opportunity analysis, due diligence, investment structuring and post-investment collaboration.